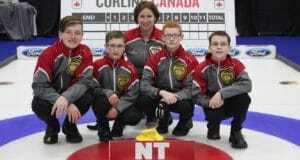 (Story by Cathlia Ward) It’s a long trip from Yellowknife, N.T., to Moncton, N.B. 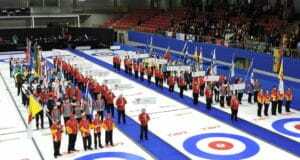 Add in a week of playing some of the top teams in Canada, and being the youngest athletes in the event and you’ve got a tiring week ahead. 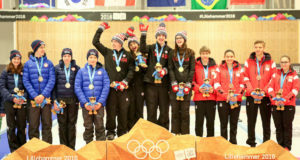 The young team skipped by Oberon Lee of the Yellowknife Curling Club have found themselves in brand new territory this week at the inaugural Canadian Under-18 Boys and Girls Curling Championships and are soaking in every minute of the experience. 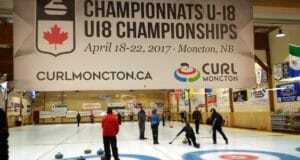 It was big day in Moncton for the inaugural Canadian Under-18 Boys and Girls Curling Championships, as front-runners moved ahead of the pack, and upsets across the board kept playoff hopes alive heading into Thursday, the third day of round robin play. 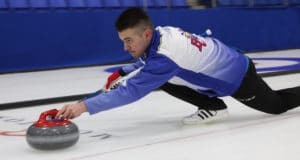 Many of Canada’s up-and-coming curling stars will get their first exposure to a national championship competition when the inaugural Canadian Under-18 Boys and Girls Curling Championships get underway in Moncton, N.B.